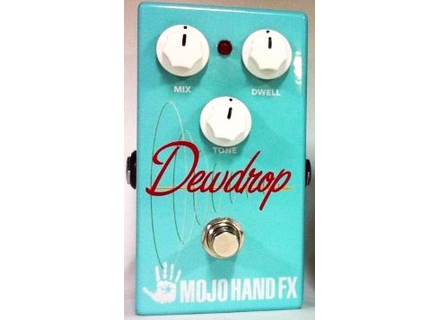 Dewdrop, Reverb for Guitar from Mojo Hand FX. 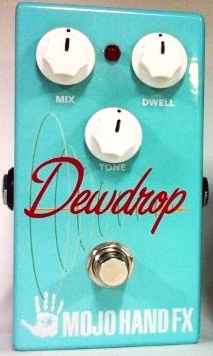 Among the Mojo Hand FX pedals premiered this week at NAMM 2014 we have the Dewdrop reverb. The Dewdrop reverb pedal offers a simple, intuitive layout with only three controls (Mix, Dwell and Tone) to produce spring reverb tones ranging from subtle and damp to full on ambient wetness. More information expected soon at www.mojohandfx.com. [NAMM] Mojo Hand FX DMBL Overdrive Mojo Hand FX introduced at NAMM 2014 several new pedals, including the all-new DMBL Overdrive. [NAMM] Two new Martin Road Series guitars Martin Guitar has added to new guitars to its affordable Road Series, the DRSGT and 000RSGT.